If you're looking for help keeping your chairs and futons looking their best - or even if you're struggling to get rid of tough stains and worn-in dirt on your sofas - call us today! We offer the leading upholstery cleaning in Yarraville 3013, and delivered at some of the most affordable prices you'll ever find. When you book our upholstery cleaners in Yarraville, you'll be signing up for one of the most thorough and effective services on the market. Our staff all come fully trained and with many years of experience, while our state-of-the-art tools and techniques allow us to deliver outstanding results. 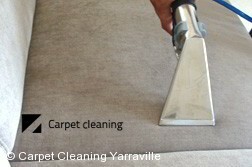 Book Yarraville Upholstery Cleaners Now! Call us now - on 03 8672 2795. Our phone lines are up and running 24/7, and we have a friendly team of staff on hand to deal with your enquiries. You'll be able to make a booking, or even get a free estimate on our professional upholstery cleaning in Yarraville. On the other hand, for an immediate response you can even request a quote using our online form... and get an instant estimate for cleaning upholstery in Yarraville 3013! "One of the things that impressed me most in the cleaning was the enthusiasm and the positive attitude of your cleaners. The boys did a great job and were..."
"With two small children for me it is very important to be sure in the greenness of the cleaning solutions. We had no problems till now with the cleaning..."